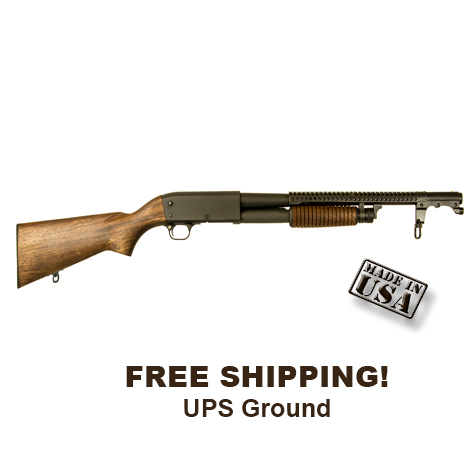 The Inland M37 Trench Shotgun all-American-made combat shotgun is faithful to the original from its bead sight, Parkerized finish, oiled stock, and ventilated hand guard to its hard-to-miss bayonet lug that fits the long 1917 bayonet. The Inland M37 Trench shotgun is manufactured in a joint effort with the Ithaca Gun Company, Upper Sandusky, OH. The original steps of shotgun manufacture that was originally used by Ithaca during WWII has been carefully duplicated utilizing modern technology and CNC machining which yields components that are precise and accurately reproduced.